It may be called the Day of the Dead but it's also called a celebration for a reason. It is in no way dark and dreary and you may wear a bunch of black but it's very encourage to grab a lot of light and bright colors to accent your outfit or party! Skulls are always adorned in flowers or intricate designs of stars and circles to really show that this is a happy occasion and not one to mourn on. 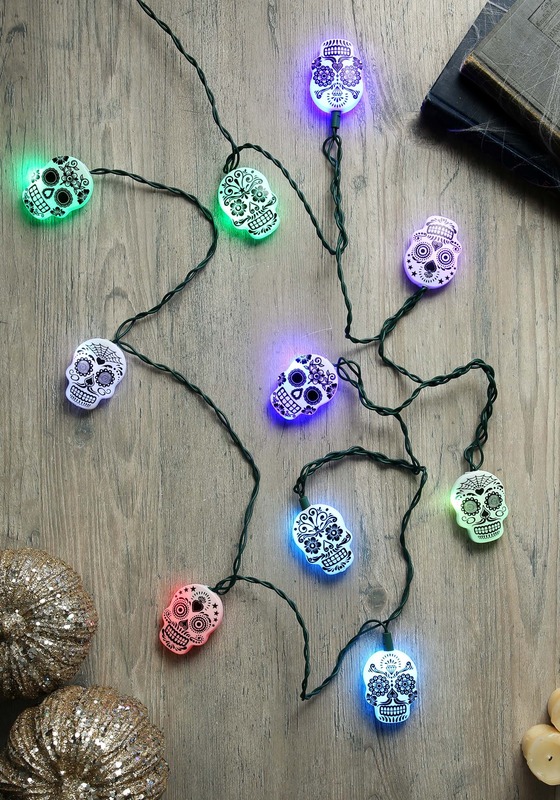 These lights can both brighten the party up a bunch while also bringing the festivity of the sugar skulls right to your home. This set is 30 inches long so it's the perfect length for any kitchen, bar shelf, dorm room, or even in a small den. They work both indoors and outdoors as well so if you seem to have too long of a guest list just to fit in your home then feel free to take the party outside!